If I’m honest, I’m struggling to make my blogmas so happy and enjoyable. If you’re new, we lost my dad suddenly this year and it’s nearing the 1-year mark. I think holidays are hard for anyone who has lost someone and I’ll be talking about that more in a post later on. But today is for those of you who were like me until now, totally unsure about how to help my grieving friends. For those of you who have never lost anyone, I know you can feel completely unprepared to try and help a friend when they are grieving. So today, from someone who is grieving, I want to share a few ways you can help our grieving friends this holiday season. 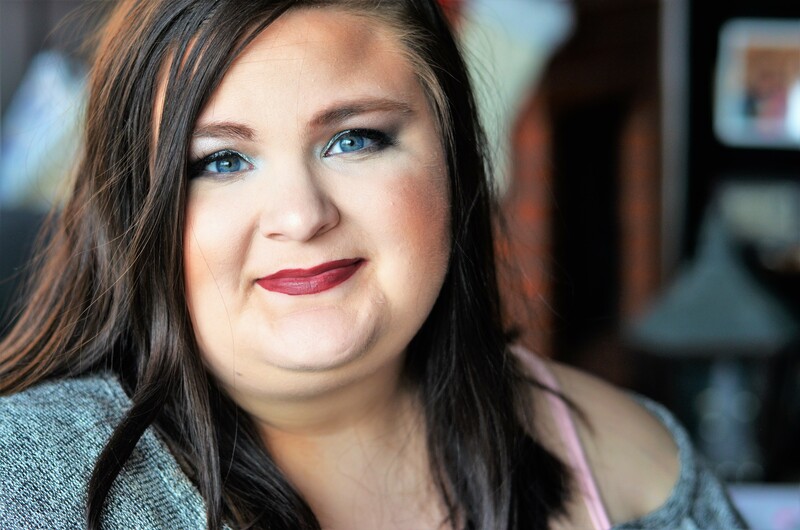 Before I get into a few practical ways you can help, I want to make sure you know that no matter how your grieving friend acts…they need you. They might need you in a different way like just more texts or something, but I can guarantee you that they need their friends. 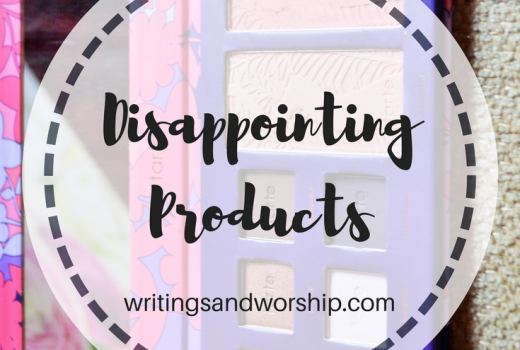 I also shared a post a few months ago that was titled 5 things your grieving friend needs. I suggest reading that as well because it pairs with this post and can give you even more ways to help. Remember that holidays are typically all about traditions and family…so when you lose someone…your holidays have a hole. Your grieving friend probably feels bad that they haven’t been a very good friend while they deal with their grief. Chances are they still care and care deeply but they just might not have the head space or capacity to continue being a typical friend while grieving. 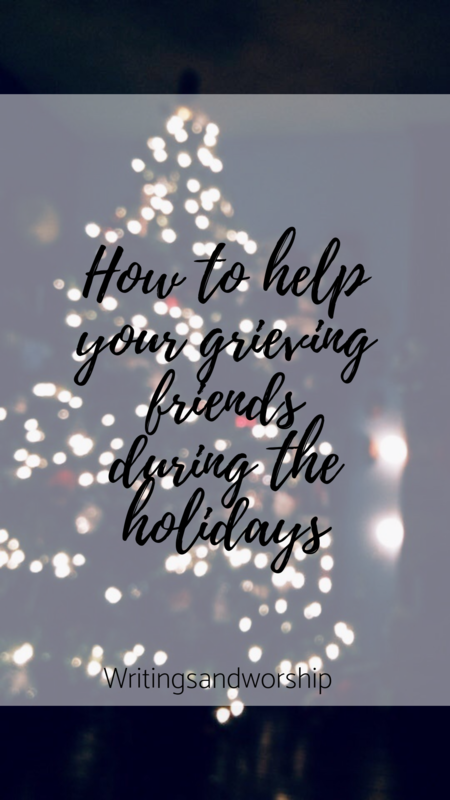 If you really want to help your grieving friend during the holidays, be gracious. Give them a break and try to understand what all they are feeling and going through. I get that it might be frustrating to not have your typical friend, but give them some grace and remember what they’re dealing with right then. Your friendship might seem one-sided for a bit, but be gracious, because they need you. Along with number one, chances are your friend might not be reaching out as much as they normally did. Check up on them anyway, because they need your support more than ever. Take some time out of your holidays to check on up on them a few times. It will probably mean the world to them, even if they can’t put that into words. Even if you don’t know what to say, just tell them that, but make sure you’re checking up on them throughout the holidays. I would say that this point will depend on the person. For me, I don’t mind hearing about my friends’ traditions and family. In fact, it typically makes me happy to hear about their dads. However, for some people who are grieving, it might be hard to listen to stories about their happy families while grieving during the holidays. You know your friend, so just be sensitive if you feel like it would be hard for them to hear. I’m not saying never speak of your family, by any means. But just be sensitive about how much you talk about them and make sure it’s not making your grieving friend worse. This is also very dependent on your friend. Some people in the midst of grief won’t want to really celebrate- it could be too hard. Some, however, might be glad to celebrate because they want to carry on as normal as possible. No matter what your friend wants to do, make sure you are supportive and understanding. If they don’t want to celebrate, go spend time with them outside of typical holiday festivities. Try and be supportive no matter what your friend is wanting to do. No matter what you are facing, facing the holidays while grieving is incredibly hard. The best way to help your grieving friend is to be there. Whether they need you to sit and listen to stories about their loved one or to sit in silence. The holidays hold a lot of reminders that their loved one is gone and I can guarantee they will need a friend.